Java Day Kiev took place 14-15 October. Led by the Ukrainian JUG, it is one of the most significant developer events in Ukraine. The event attracted a bevy of world-class speakers including Burr Sutter, Ivar Grimstad, Sebastian Daschner, Ruslan Sinitskiy and Edson Yanaga. Java EE had an excellent showing at the event including my own talks. The organizers had invited me in previous years but I could not go to Ukraine due to Oracle's overly conservative travel restrictions. This year was my opportunity for redemption so it was important for me to attend. I suggest others do the same to support Ukrainian developers when they need us most. I was also very honored to be part of the opening keynote panel of Java experts. Shortly after the keynote, Ivar did a detailed demo-driven talk on the MicroProfile. After lunch I ran a hands-on lab on JMS 2 titled "Down-and-Dirty with JMS 2". The goal of the lab is to give attendees some first-hand experience with the primary changes in JMS 2. In the first hour or so I did a brief presentation overviewing JMS 2 and went over the JMS 2 Javadocs. The rest of the time attendees actually wrote JMS 2 code mostly by themselves. The slides I use are available on SlideShare (click here if you can't see the embedded slide deck). The lab materials are hosted on GitHub for anyone to use. The lab uses NetBeans, WildFly and Arquillian. I've deliberately designed the lab materials to be fairly self-guided so you can definitely use the lab materials on your own (or perhaps even run the lab in your own company/JUG) . You are always welcome to reach out to me when needed. In the lab you'll basically be putting in code to finish a set of JUnit tests using JMS 2, starting from incomplete code with comments on what to do (don't worry, a completed solution is also posted :-)). Concurrent to my talk, Sebastian delivered his brilliant talk titled 'Java EE - the most lightweight enterprise framework?'. If you really still buy into deliberately spread anti-Java EE propaganda, the linked video will be a serious eye-opener that will make you think twice. After Sebastian's talk, Ivar did a session covering the details of the Java EE Security 1.0 JSR targeted for Java EE 8. I finished out the conference with my talk on HTTP/2 and Servlet 4 titled "HTTP/2 and What it Means for the Java EE Ecosystem". The talk examines the very important changes in HTTP/2 and how these changes need to be adopted by various Java EE 8 APIs like Servlet 4 and JSF 2.3. The slide deck for the talk is posted on SlideShare (click here if you can't see the embedded resource). A screencast of the talk is available here. Please do feel free to adopt the material and deliver the talk yourself. 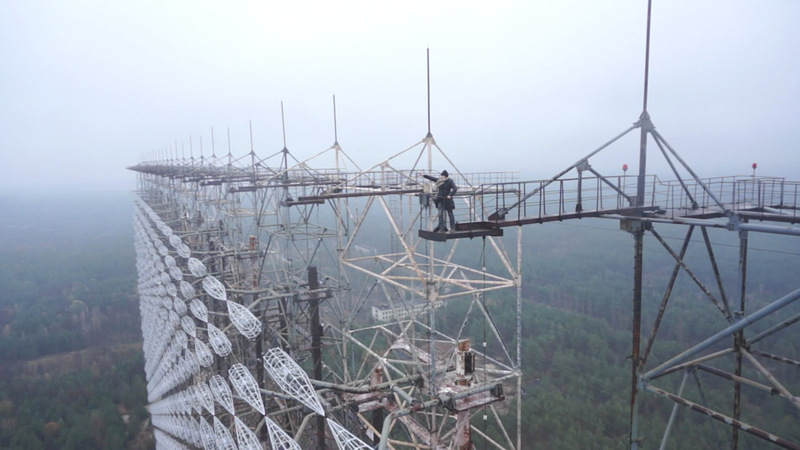 What impressed me the most on the Chernobyl trip is something I didn't even know existed - the secret Duga-3 Soviet ICBM early-detection over-the-horizon radar (the so-called "Russian Woodpecker"). 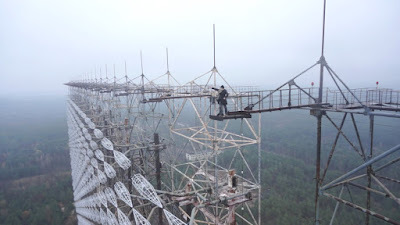 Because there was so little time and I did not have the correct climbing gear, I only went up about five flights of the towering radar. On my next trip to Ukraine I plan to take a day to climb to the very top to witness the stunning views myself - certainly before the amazing structure rusts into the oblivion of time. 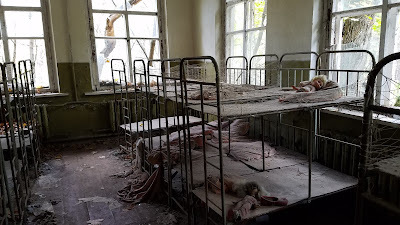 All is all, this was a great and overdue trip to Kiev and Ukraine. I hope to visit again soon!